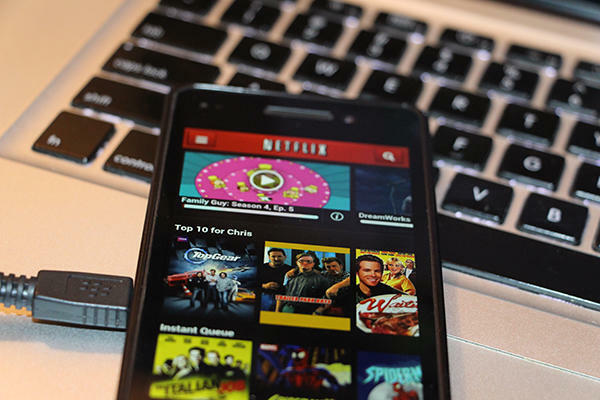 Some images of Netflix running on the BlackBerry 10 Dev Alpha have shown up and are flying all over the net. The CrackBerry forums are buzzing with more than one thread on the topic, most users asking if they're real or fake. While we can't confirm that Netflix is indeed up and running on BlackBerry 10, we can say that faking shots like these is pretty darn easy (especially coming from an unknown source). All it takes is a few screencaps and some crafty camera work as shown by the image above that Bla1ze made. It takes no time to make a fake. Obviously BlackBerry users want Netflix on BlackBerry 10 (along with Skype, Instagram and others). While it looks like there is nothing really keeping Netflix from working on the technical side, it's the business aspect that RIM has to sort out. There is always plenty of behind-the-scenes action that goes into getting these "big name" apps available for any platform -- not just BlackBerry. If it were as easy as saying "hey, put your app on our platform", you'd see every big name app on every big name platform and device - but unfortunately that's not the case. So take them for what you will, but at this point there is nothing official here that shows (one way or the other) anything about Netflix coming to BlackBerry 10. What posts like this do tell us is that there are a lot of BlackBerry users who obviously want apps like Netflix on BlackBerry 10 - and hopefully they'll be there. We only have a few more weeks to go until the big unveiling at the end of January, so you can expect that any big name apps will be announced officially by RIM at that point.